Remind is a real-time “text” messaging tool that allows users to communicate with groups (e.g., entire classes or student organizations) or individual people. 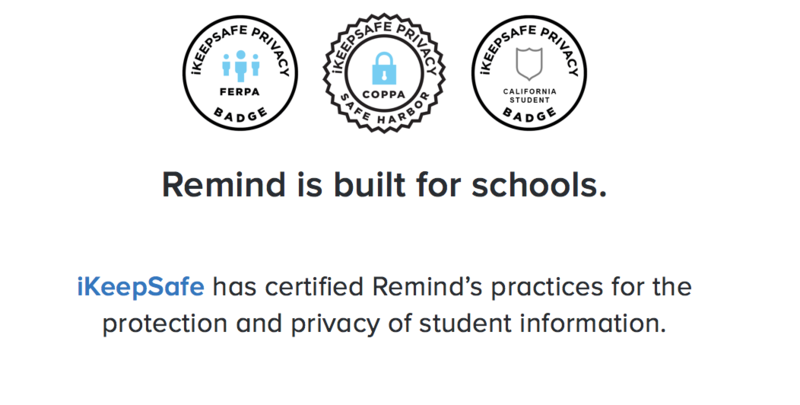 Remind has more than 20 million users and is employed in more than 70% of public schools (Remind, 2018). Users can write text messages up to 140 characters. 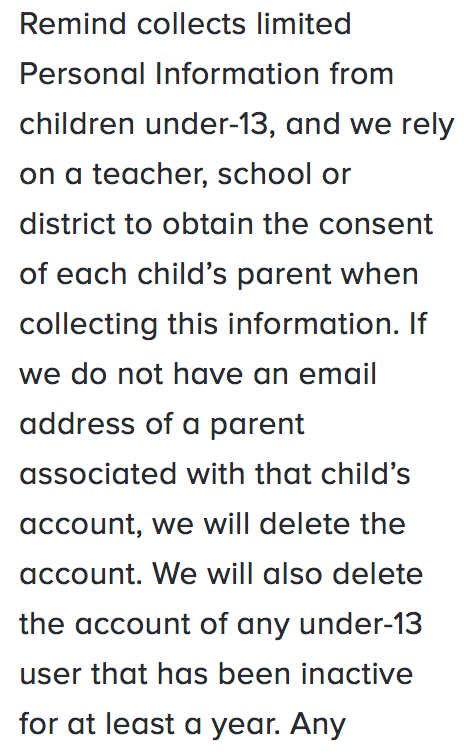 For teachers, this means being able to send out messages that students and parents can’t miss. For students and parents, this makes it easier to stay on top of assignments, deadlines, updates, and events going on in school. If you are looking to enhance communication in your school or community Remind could be a beneficial tool to try out. Dr. Ruben Puentedura’s SAMR model exemplifies the integration of technology into teaching. This model is an effort to prove more meaningful uses of technology in the classroom rather than using “tech for tech’s sake.” As you strive to incorporate online tools into your classroom, we encourage you to use this model as an analytic tool. Far too often, technology is used as a direct substitute for other low-tech tools (e.g., pencil and paper). While substitution has some benefits (e.g., students develop their technology skills and knowledge), we encourage you to think about how you might use Remind to modify or redefine learning. If you are a student enter the class number given to you by a teacher or create a new classroom. If you have not already joined or created a class do so by clicking the plus signs under “classes owned” or “classes joined” in the sidebar on the left side of the page. Where it says “To:” choose who you are messaging. This can be everyone in the class, just teachers, just students, just parents, just admin or a combination of these. Click send when you are finished with your message OR schedule for it to be sent at a later time.